The Bauhaus and Harvard, on view February 8 through July 28, 2019, will feature approximately 200 works, including textiles, paintings, photographs, furniture, and archival materials, drawn almost entirely from the Busch-Reisinger Museum’s rich collection. 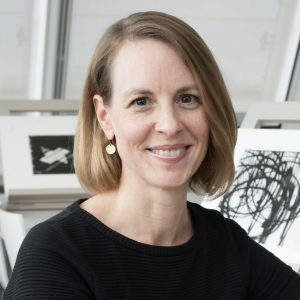 Laura Muir, Research Curator for Academic and Public Programs at Harvard Art Museums, gives an overview on the show. What are some of the goals of the exhibition? Laura Muir: The Bauhaus centennial gives us the opportunity to reflect on the unique character of this collection and the circumstances that led to its formation in the late 1940s with the help of Walter Gropius. Gropius, director of the Bauhaus from its founding in 1919 until 1928, remained in close contact with many of his former colleagues long after the school closed in 1933 under pressure from Germany’s Nazi government. In 1937, Gropius came to Harvard to join the Department of Architecture. (…) In the exhibition, we want to recognize Gropius’s essential role in establishing the Bauhaus collection, but also underscore the fact that it was very much a group effort. (…) Other institutions with major Bauhaus holdings are also planning anniversary exhibitions that consider different aspects of the Bauhaus and its legacy. By telling our particular story, this project will illuminate a key episode in the history of the Bauhaus in America. (…). Why is the Bauhaus still relevant today? With more than 30,000 objects in the Bauhaus collection, how did you choose just 200 for the exhibition? What might visitors learn from the exhibition? Muir: People often associate the Bauhaus with certain iconic objects, like Marcel Breuer’s tubular steel chair, Wilhelm Wagenfeld and Carl Jucker’s glass table lamp, and László Moholy-Nagy’s abstract paintings. We have examples of these objects, but what might surprise visitors is that we also have deep collections of materials related to these singular objects. For example, in the exhibition we’ll show the Breuer chair along with advertising materials that were produced at the Bauhaus to promote the sale of that chair. We have samples of the fabric designed in the weaving workshop, specifically for tubular steel furniture. And we have Lucia Moholy’s photographs of Bauhaus interiors that show the furniture in its original context. Through these conversations between objects, we want to stress the important role of collaboration between artists and designers. On a personal level, what have you found so fascinating about the Bauhaus? (…) When I came to Harvard, I was thrilled to be able to work with this incredible collection (which includes the Feininger archive). I’ve long been fascinated by the story of how the collection came together and the role that Harvard played at this particular moment in Bauhaus history. It’s not as well known as it could be, and the centennial seems a perfect moment to take a close look at it through the objects in this remarkable collection. A full length version of the interview can be found here. The Goethe-Institut has partnered with the Public Radio Exchange (PRX), the RIAS Berlin Kommission, KCRW Berlin, and other radio stations and producers in the US and Germany to bring you THE BIG POND, a collection of 50 unique audio pieces released on a weekly basis. The German National Library’s traveling exhibition brings the Second World War German-speaking refugee exile experience to the museum-going public in the United States. Starting March 8, the renowned festival South by Southwest will take place in Austin, Texas. Wunderbar Together will be among countless digital innovations, analog surprises and other exciting guests presenting in Texas.